HHT Celebrates NYC Landmarks 50th Anniversary! 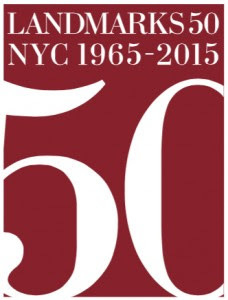 We congratulate the Landmarks Preservation Commission on it's 50th anniversary! Celebrate with HHT Member Houses offering reduced admission and special programs. Redefining Preservation for the 21st Century Symposium. Visitors will explore the roots and impact of the preservation movement that has transformed New York and fueled its growth. Panelists Vishaan Chakrabarti, Adele Chatfield-Taylor, Roberta Gratz, Michael Kimmelman, Robert A. M. Stern, and Steven Spinola will examine how preservation shapes and strengthens our neighborhoods and our city.